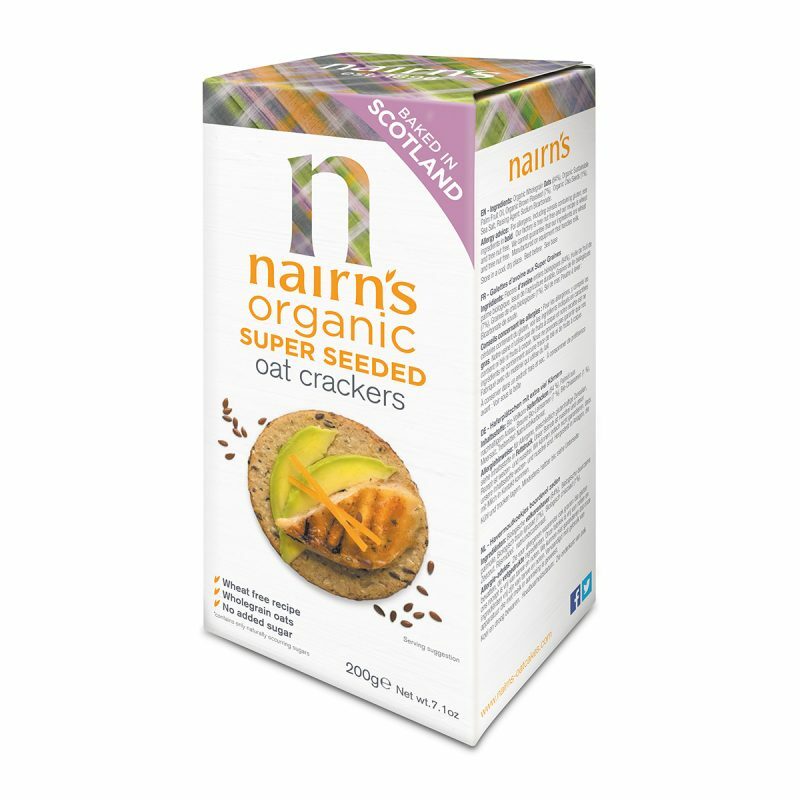 Nairn’s Super Seeded Organic Oatcakes are, well, SUPER!! Packed with wholegrain oats, flax seeds, sunflower seeds and chia they are high in protein and fibre, naturally energising, organically grown and delicious! Great with or without a topping for parties or a lunch time snack, they are good for you at any time of the day. Hunter’s Collection Super seeded organic oatcakes – Flaxseed, Chia & Sunflower Seeds (200gm) 200gm Box. 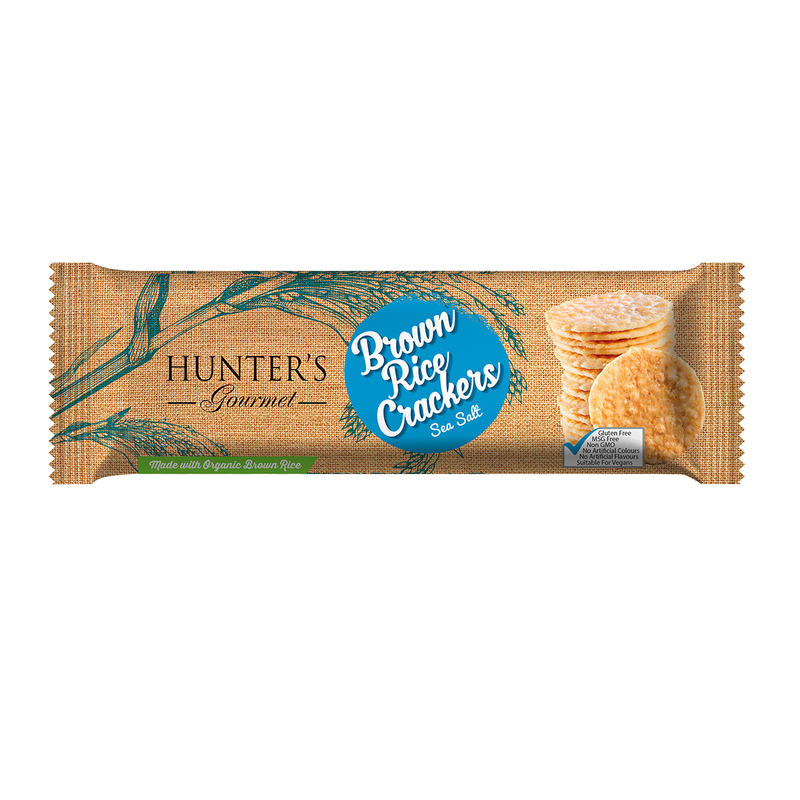 Biscuits & Crackers, Organic, MSG Free, Non GMO, No Preservatives, No Artificial Flavours, No Artificial Colours, Vegan, No Transfat, No Cholesterol. A product of Hunter’s Collection, Nairn’s brand. Organic Wholegrain Oats (84%), organic sustainable palm fruit oil, organic brown flaxseed (7%), organic chia seeds (1%), sea salt, raising agent: sodium bicarbonate.